The addon is available on GitHub. You can install it in the usual way: File->User preferences->Addons->Intall from file. Don't forget to check the 'enable addon' box. It will the be available from the Add Mesh menu in the 3D view. 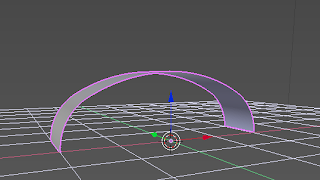 The addon constructs what is called a classical three centered arch, that is you can only choose the width while the height has then a fixed proportion. It might be a good idea to add the variant where you can also specify the height, which will give a squeezed arch that is has not quite the same shape as a classical arch that is scaled in the z-direction. 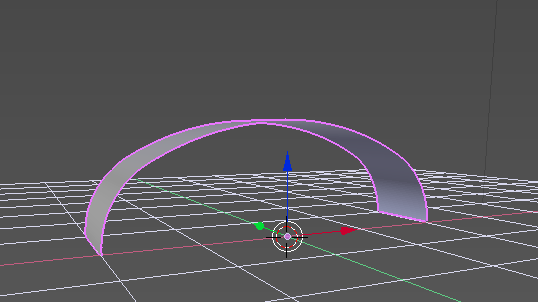 Currently the vertices in the arch a distributed with more or less even spacing along the circle. Because we use the angle along a circle segment the last vertex may or may not touch the ground. This is however hardly visible and since I intended this addon for visualization rather than CAD I thought i good enough. I might fix it though in the near future.